If you're nearing retirement, it's no secret healthcare is expensive. According to Fidelity, the average couple will spend $280,000 in retirement. This number alone is staggering enough — especially when half of U.S. families have no retirement savings. Worse, $280,000 doesn't include the cost of long-term care, which can range from $3,628 - $7,698 per month, depending on where you live. With price tags like these, it's easy to see why many families can't afford it. End-of-life care is difficult to think about, so it's easy to push planning to the back burner. The problem is, there's a high probability you'll need it, and it becomes more expensive the longer you wait. Popular solutions include long-term care insurance, life insurance riders, Medicaid, or reverse mortgages. Regardless of which one you choose, it will be an extra expense — and one that you'll need to budget for. Health savings accounts (HSAs) are one way to ease the financial burden. If you're ready to tap your balance, these are the important things to know. Long-term care insurance is tricky. Like many types of insurance, premiums are cheaper when you're younger and healthier. By your 60s and 70s, it may be difficult to qualify and premiums may be expensive. One way to save is by using your HSA to cover premiums. The downside is your withdrawals aren't entirely tax-free. There's a limit and the benefit improves as you get older. If you're 40 or younger, the tax-free limit is $420. The limits range from $770 if you're under 50 and up to $5,110 if you're over 70. The lowest of these tax benefits isn't enough to offset the average premium, but the extra savings helps. Tip: Don't assume your plan is automatically eligible for tax savings. Ask your provider to confirm it's a qualified contract. The government has rules about long-term care insurance plans — and which ones are qualified. For example, your plan must be guaranteed renewable. This means your policy must remain in force as long as premiums are paid. You can see the rest of the rules here. No matter which plan you choose, you should expect premiums to increase as you get older. If you can't afford it, you'll surrender the original coverage you signed up for. Diligently saving money in your HSA offers a lot of benefits. Tax deductions, tax-free growth, and tax-free withdrawals can add up to major savings. Long-term care expenses have the opposite impact on your wallet. Without long-term care insurance, you may be stuck covering expenses out-of-pocket. The good news is, many of these are qualified medical expenses. 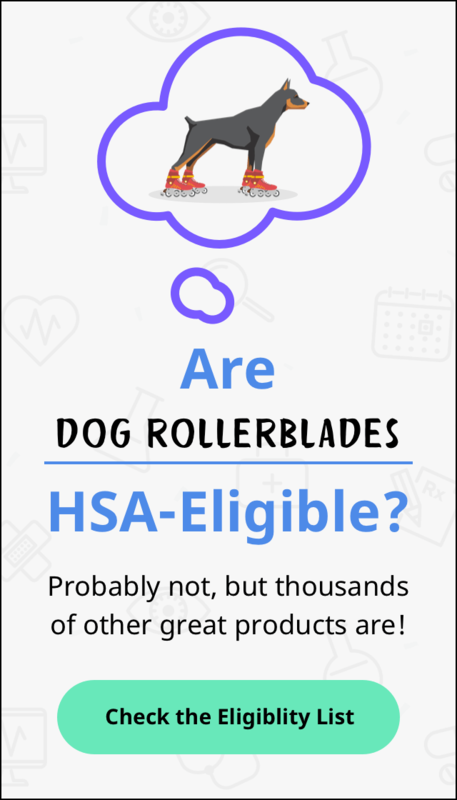 This means they are eligible for tax-free withdrawals from your HSA. Thanks to the tax savings, you're getting a discount with every HSA dollar you spend. Publication 502 explains what is and isn't a qualified medical expense, but if you're not sure, it's always better to err on the side of caution and ask a tax professional. Otherwise, you could be slapped with an unexpected 20% penalty and income tax. We should also mention -- even though it's a long way off from passing -- the Homecare for Seniors Act (H.R.6813), which was recently introduced in the House. If passed, it would allow some assistance expenses -- like those for eating, dressing, medication adherence and even travel -- to be covered by distributions from HSAs. Expect to hear more about this in the months to come. When it comes to healthcare in retirement, one thing is certain — it's really expensive. If you're one of the few who escapes the drain of long-term care expenses, consider yourself lucky. For everyone else, it's a wildcard with the potential to wipe your savings. Your health savings account may not cover it all, but that doesn't mean you shouldn't fund it. When medical bills start piling up, you'll be grateful for any amount you've stashed away.